In 1980 I really was influenced at my highschool by a teacher of mine named Mark Brink. He introduced me to the film series “Whatever happened to the human race?” by Francis Schaeffer and Dr. C. Everett Koop. In this film series that came out in 1979 they dealt with the big social issues and predicted what social problems we have in the future because of humanism. For instance, they knew that the Jack Kevorkians of the world would be coming down the pike. They predicted that there was a slippery slope from abortion to infanticide to youth euthanasia brought on by the materialistic worldview. Later in the summer of 1980 I saw the film series “Free to Choose” by Milton Friedman and I read his book “Free to Choose” over and over during the years that followed. That same year I worked in Ronald Reagan’s campaign as a volunteer. Sadly all of those political and religious heroes of mine have now passed away. Francis Schaeffer at age 72 in 1984, Ronald Reagan at age 93 in 2004, Milton Friedman at age 94 in 2006 and now Dr. C. Everett Koop at age 96 on Feb 25, 2013. I still stay in touch with my former teacher Mark Brink and enjoy corresponding with him. He introduced me to the film series “Whatever happened to the human race?” that truly was an amazing look at the social issues that we would be facing in the coming years in the USA. I found three more editorial cartoons of Dr. C. Everett Koop from the 1980’s. He also did some work with the Clinton Administration in the 1990’s on several issues. I had forgotten about that. Attention! 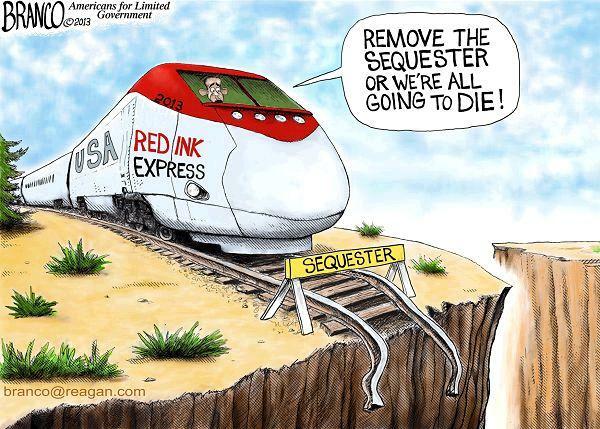 All Aboard!! Hey, Folks. . . Hello. . . Yoo-Hoo. . . Ever since C. Everett Koop and Francis Schaeffer pricked our consciences, abortion has been on the front burner for socially minded evangelicals. Thirty-five years since Roe v. Wade, it’s time to ask whether it should remain the sine qua non of Christian social engagement. In The Scandal of Evangelical Politics, Ron Sider, echoing a common complaint that pro-lifers believe that “life begins at conception and ends at birth,” says starvation and second-hand smoke are also “sanctity of life” issues. In other words, these and other voices seem to be saying that fighting legalized abortion—the deliberate, state- sanctioned taking of 50 million unborn human lives from their mothers’ wombs since 1973 (and the accompanying national guilt)—should simply be one item among many on an ever-expanding evangelical to-do list. I agree that we have multiple responsibilities as Christians, and different callings. But if everything is a priority, then nothing is. While no one is saying that defending unborn human life is optional, the way we sometimes talk about our broader agenda appears to minimize the importance of abortion. If everything is a priority, then nothing is. Despite all our other good and necessary deeds during the ’60s, we evangelicals faced scathing criticism for being largely awol on civil rights, the premier social issue of the era. What will future generations say if we neglect the preeminent moral issue of our day? We cannot excuse ourselves by saying, “Well, protecting unborn human life is someone else’s calling, but [fill in the blank] is my calling.” We are all called to fight abortion. “God wants to save these children,” Ohio Congressman Tony Hall says in Michael Lindsay’s Faith in the Halls of Power. “He doesn’t want these children killed.” Jesus never turned his back on children. Will we? For example, Americans United for Life notes that over a 14-year period, Mississippi passed 15 pro-life laws, such as the Abortion Complication Reporting Act. As a result, the number of abortions has declined by 60 percent, and six of seven abortion clinics in the state have closed. Thanks to pregnancy care centers, ramped up adoption efforts, increased access to ultrasounds, and the judicious use of pro-life arguments (such as those in Francis Beckwith’s book Defending Life), we are also winning hearts and minds. The Pew Research Center reports that 18- to 29-year-olds (many of whom consider themselves abortion survivors) consistently favor tougher abortion restrictions than do those 30 and older. In 2003 Gallup found that 32 percent of teens surveyed said abortion should be illegal in all cases—compared with 17 percent of adults. Even Hollywood appears to be sympathetic to pro-life concerns (ct, February, page 34). In the past I have written the White House on several issues such as abortion, medicare, welfare, Greece, healthcare, and what the founding fathers had to say about welfare programs, and have got several responses from the White House concerning issues such as Obamacare, Social Security, welfare, and excessive government spending. Today I am taking a look at the response of the scholars of the Heritage Foundation and the Cato Institute scholars to the 2013 State of the Union Address. Well, we certainly saw this coming. Another call for comprehensive immigration reform. We learned in his inaugural that our journey is not complete until “we find a better way to welcome the striving, hopeful immigrants who still see America as a land of opportunity.” Who can disagree with that? The time has come, he said. And we all know what needs to be done. Really? We have long advocated and done extensive research on various policies that will reform immigration, but comprehensive reform is not the way to proceed: It won’t fix the root problems and will likely make matters worse. It doesn’t create opportunity, but restricts it. The better way to proceed is to go about solving problems, starting where there is broad agreement, and working toward a fundamental restructuring of our immigration system to emphasize work, opportunity, and assimilation under the rule of law. There is no reason to assume—and many reasons to doubt—that a “comprehensive approach” is the only reasonable and only fair way to proceed to reform. 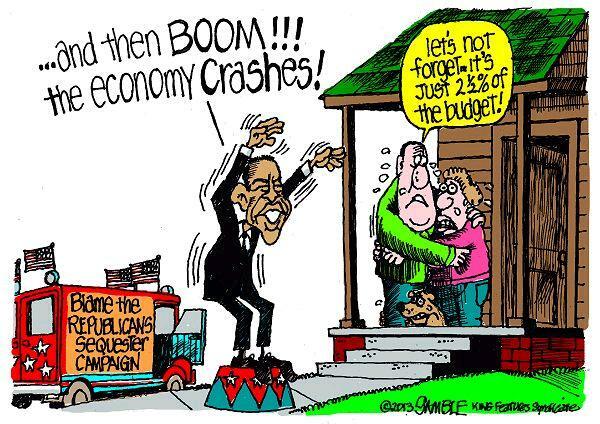 Did Obama prolong the recession with the auto baleout? 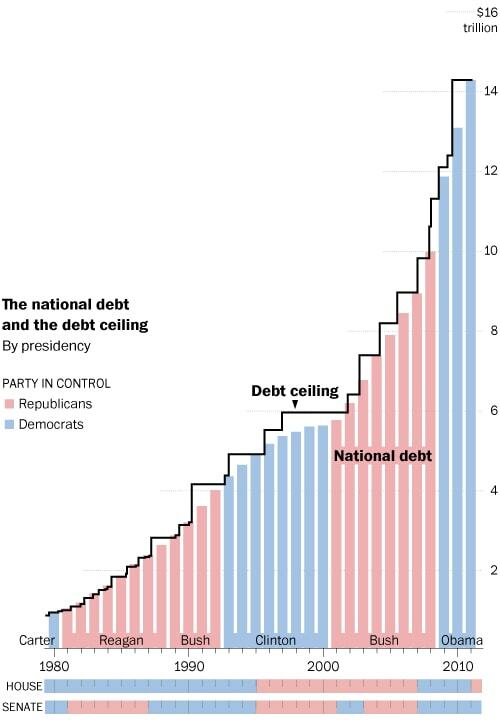 In 1995, Congress nearly passed a constitutional amendment mandating a balanced budget. 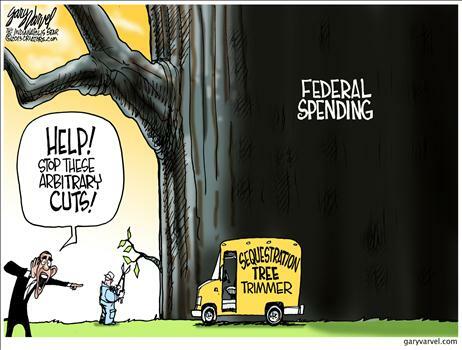 The Balanced Budget Amendment would have forced the federal government to live within its means. 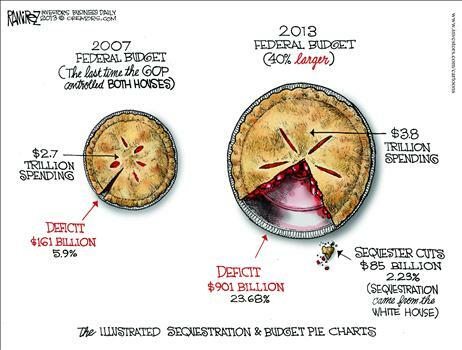 This Balanced Budget Amendment failed by one vote. 16 years later, Congress has the chance to get it right. Our time is now. I have seen John MacArthur on Larry King Show many times and I thought you would like to see some of these episodes. 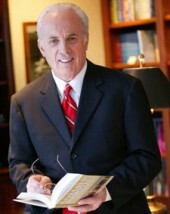 I have posted several of John MacArthur’s sermons in the past and my favorite is his sermon on the Tyre prophecy. I think Dan Mitchell is right about France heading the wrong direction. 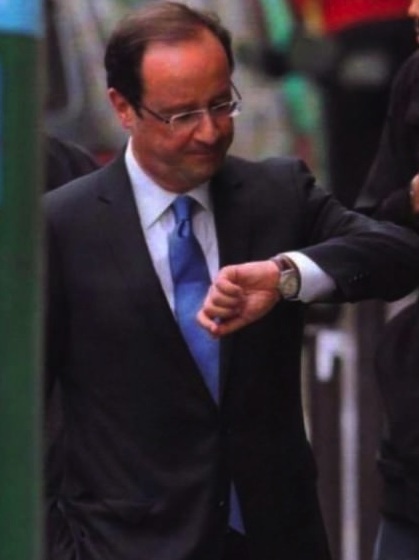 Mr. President you need to watch what happens to France in the next few years. It will not be pretty. I’m a bad person. I know it’s not nice to take joy in the misery of others, but I can’t help but smile when I see a story about bad news in France. In my defense, this is not because of hostility to French people, who have always been friendly to me. Instead, France has become the global symbol of statism (particularly since Sweden has been moving in the right direction). The French, for instance, are increasingly infamous for class-warfare tax policy and onerous levels of intervention. And since it’s my job to promote liberty, I’ll confess that it’s easier for me to convince non-French policy makers that free markets and small government are the right approach when there’s more evidence that statism is failing in France. So why am I smiling? Well, France wasn’t doing so well under the de facto socialist Nicolas Sarkozy, and it seems that things are looking even worse now that the de jure socialist Francois Hollande is in charge. Here’s some of what Reuters recently reported. The French are bleaker about their country’s future than at any time since 2005, a new poll showed on Saturday, with 68 percent saying they are “rather” or “very” pessimistic… Hollande’s government has been reeling from unemployment at a 13-year high and a rash of job cuts in recent weeks at top employers like carmaker Peugeot and retailer Carrefour. The government launched a plan this week to create 150,000 state-sponsored jobs for youth. Only 34 percent of those surveyed were confident in the government’s ability to battle unemployment, and just 20 percent expect the government to be able to improve their buying power. 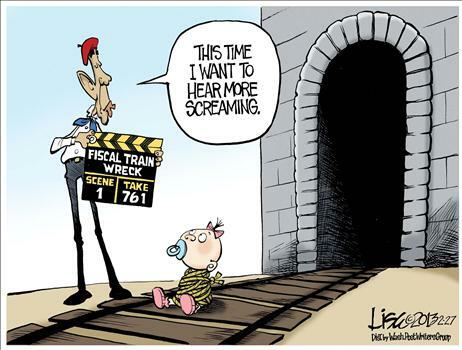 …The poll found that the pessimism extended even to 58 percent of Socialist party supporters. I’m wondering when the pessimism will spread to investors. France recently lost its triple-A credit rating, but the rating agencies don’t do a good job, so I think it’s much more important to look at the prices of credit default swaps. In other words, how much does it cost for an investor to insure debt from the French government? According to this CNBC site, France isn’t viewed as being as creditworthy as nations such as Switzerland, Germany, and the United States, but it is closer to those countries than it is to Spain, Italy, or Portugal. This is just a guess on my part, but I think France is reaching the point where investors are suddenly going to get concerned about the government’s ability to fulfill its promises. If Hollande follows through on his threat to impose a “patriotic” 75-percent tax rate, for example, that could be the trigger that makes the bond market a lot more skittish. Particularly since it will result in fewer rich people in France. I’ve already written about French entrepreneurs and investors leaving the country because of Hollande’s class-warfare tax agenda. It’s gotten so bad that even Hollywood types are packing their bags. Wow, complaining that he doesn’t want to “work for free.” What is he, some sort of radical libertarian from the Tea Party? 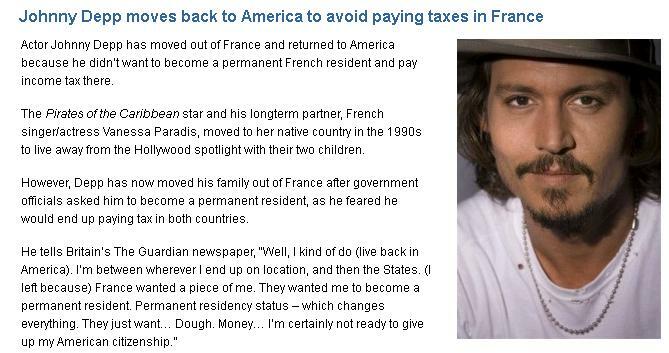 But he may want to chat with fellow tax-averse actor Jon Lovitz before moving back to America. 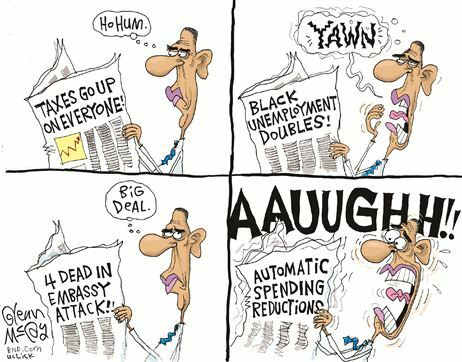 Obama’s class-warfare agenda isn’t as bad as what Hollande is trying to impose, but it’s not Hong Kong or the Cayman Islands either. P.S. Here’s a very good Chuck Asay cartoon about the French economy. P.P.S. In a few areas, France has better policy than the United States. I have really enjoyed the music of The Killers band. Not to be confused with The Kills. For other uses, see Killers (disambiguation) and Killer (disambiguation). The Killers are an American rock band that was formed in Las Vegas, Nevada in 2001, by Brandon Flowers (lead vocals, keyboards) and Dave Keuning (guitar, backing vocals). Mark Stoermer (bass, backing vocals) and Ronnie Vannucci Jr. (drums, percussion) would complete the current line-up of the band in 2002. The name The Killers is derived from a logo on the bass drum of a fictitious band, portrayed in the music video for the New Order song “Crystal“. The group has released four studio albums, Hot Fuss (2004), Sam’s Town (2006), Day & Age (2008) and Battle Born (2012). They have also released one compilation album, Sawdust (2007) and one live album titled Live from the Royal Albert Hall (2009). To date, the band has sold over 6 million albums in the United States, over 5 million albums in the United Kingdom, and a total of 16 million worldwide. In 2001, Brandon Flowers was abandoned by his first band, a Las Vegas synthpop trio known as Blush Response, after he declined to move with them to Los Angeles. After seeing Oasis play at the Hard Rock Hotel during the band’s The Tour of Brotherly Love, Flowers realized his calling was to be in a rock band and began searching for like-minded musicians. He eventually came across an ad posted in a Las Vegas newspaper by Dave Keuning, a 25 year-old guitarist who had moved to Vegas from Iowa a year earlier; the pair shared similar musical influences and soon began writing songs together in Keuning’s apartment. By the end of 2001, they had recorded a demo at Kill The Messenger Studio in Henderson, Nevada; the demo featured four tracks including early versions of “Mr. Brightside” and “Under the Gun”. Local drummer Matt Norcross played drums on the demo while Dell Neal, who was Keuning’s roommate at the time, covered bass on two of the tracks. Keuning and Flowers played their first live show together at an open mic night at the Cafe Espresso Roma in Las Vegas in January 2002; the pair, joined by Neal and Norcross, began playing numerous venues around Las Vegas where they would also hand out free copies of their demo. The Killers brought a unique style to the small Vegas music scene which was predominately filled with punk, nu metal, and rap bands, one local reviewer stated “The Killers, thankfully, don’t come across like any other band in town” and described their sound as a mix between the “pop styles of British music and the lo-fi fuzz of modern indie rock.”. However, The Killers, whose early live sound was also described as erratic, had, by the summer of 2002, fired drummer Matt Norcross and replaced him briefly with Brian Havens, who also was eventually fired. Bassist Dell Neal later left the band due to personal reasons. Drummer Ronnie Vannucci, Jr. and bass player Mark Stoermer were members of other bands who regularly played on the same bills as The Killers, both were eventually persuaded to join Keuning and Flowers and by November 2002, the band’s current line up was complete. The four of them began practising in Vannucci’s garage as he was the only member who owned a house. They would also sneak into the band room of UNLV (where Vannucci was studying percussion) at night to practice. The band claimed that they wrote much of the debut album Hot Fuss during these sessions including the hit single “Somebody Told Me“. The band continued playing at small venues in Las Vegas, where they built a small but loyal following. Talent scout Braden Merrick spotted the band after hearing one of their demos on a website dedicated to local unsigned bands, and after attending a few of their live shows he offered to become the band’s manager. He took the band to the San Francisco area, to Berkeley, California, to record demos with former Green Day manager Jeff Saltzman and mix engineer Mark Needham, they then sent the demo tapes to major record labels in the US. Most of the record labels turned them down, but one company, Warner Bros. Records, invited them to perform at a showcase. Though Warner Bros. was not impressed by the band after the showcase, the band did catch the eye of Niall Norbury, who was from the United Kingdom. Norbury took the band’s demo back to the UK with him, playing it for friend Ben Durling, who worked at UK indie label Lizard King Records. The Killers signed with the British label in July 2003. On August 19, 2003, the song “Mr. Brightside” premiered on DJ Zane Lowe‘s BBC Radio 1 show in the UK. The Killers then travelled to London and began to play shows in bars and clubs, and critical reviews were generally positive. On September 29, 2003, they released the song “Mr. Brightside” on a limited number of CDs and vinyl records in the UK. As a result of the buzz generated in the UK, upon returning to America, they were invited to play at the ASCAP CMJ Music Marathon in New York City. A number of labels showed interest in the band, and they eventually signed with the record company Island Def Jam in early 2004. The band’s Hot Fuss Tour started in the UK in May 2004. 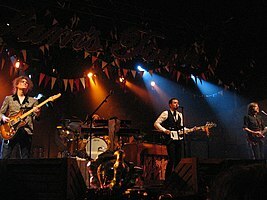 Prior to that, the band had played support slots for British Sea Power in the UK, Morrissey in the US and Stellastarr in both the UK and US; during the spring and summer of 2004, the group played much-praised sets at festivals across Europe and North America which helped add to their growing fanbase. The Killers released their debut album Hot Fuss in June 2004 in the United Kingdom on Lizard King Records and in the United States on Island Records. Extensive touring and a number of hit singles led to the album becoming a huge commercial success. Hot Fuss reached Number 1 in the UK in January 2005, seven months after its release, and has been classified 6x Platinum by the BPI. It also reached the top spot in Australia, where it was certified 3x Platinum, and has also been certified 3x Platinum in the United States and Canada. On the UK version of Hot Fuss, “Glamorous Indie Rock and Roll” replaces “Change Your Mind” as track 8. In 2005, The Killers were nominated for three Grammy Awards; Hot Fuss was nominated for Best Rock Album while “Somebody Told Me” was nominated for two awards including Best Rock Song, in the UK they won an NME Award for Best International Band. In July 2005, The Killers performed on the London stage of the Live 8 concert, playing “All These Things That I’ve Done”. Robbie Williams incorporated the song’s refrain “I’ve got soul but I’m not a soldier” into his own performance. Coldplay and U2 followed suit and, at their separate concerts played in Las Vegas, with The Killers in the crowd, incorporated the line into their songs “God Put a Smile Upon Your Face” and “Beautiful Day“, respectively. The Killers’ second album, Sam’s Town, was released in October 2006 under Island Def Jam Music Group. Brandon Flowers said that Sam’s Town would be “one of the best albums of the past twenty years”. It received a mixed response with some praising the album and others mocking it. However, Rolling Stone ranked Sam’s Town as the number one underrated album of the decade. The album sold over 706,000 copies worldwide in the first week of release, with a number two debut on the Billboard chart. The record has been certified 4x Platinum in the United Kingdom, Platinum in the United States, and 2x Platinum in both Australia and Canada. The album produced four singles: “When You Were Young” (Platinum in the United States, Diamond in Brazil), “Bones“, “Read My Mind” and “For Reasons Unknown“. The Killers recorded a live session at Abbey Road Studios for Live from Abbey Road on November 29, 2006. They performed an almost totally unplugged set, which included a rendition of the Dire Straits hit “Romeo and Juliet“. In December 2006 the band released a Christmas charity song (the first of what would become an annual tradition), “A Great Big Sled“, which benefited Product Red. In February 2007, The Killers attended the BRIT Awards in the United Kingdom, where they performed “When You Were Young“. The band won two awards — Best International Group & International Album. In the same month the band’s Tim Burton directed video for Bones won Best Video at the NME Awards. During the Sam’s Town Tour The Killers headlined Madison Square Garden for the first time as well as Glastonbury Festival. The band released a compilation album called Sawdust, containing B-sides, rarities, and unreleased material, in November 2007. Sawdust has been classified Platinum by the BPI. The album’s first single “Tranquilize“, a collaboration with Lou Reed, was released in October 2007. The first pressing of Sawdust contained a rare demo version of “Move Away” which Brandon Flowers later stated was a mistake on the part of the band’s record label; the proper version the group intended to put on the album was previously available on the Spider-Man 3 soundtrack is included on later pressings of Sawdust. In 2008 the band picked up two awards in the first NME Awards USA, including “Best Band” and “Best Track” for “Tranquilize”. “Sawdust” was also nominated for best album. The song “Spaceman” was released as band’s third studio album Day & Age on November 4, 2008. This song was number 17 on Rolling Stone‘s list of the 100 Best Songs of 2008. The song has been used regularly as the opening song during the band’s tour.The group began performing the song at shows during their Summer 2008 tour and played it as part of a two-song set on the October 4, 2008 episode of Saturday Night Live. They also performed the song on November 4, 2008 on BBC2’s Later… with Jools Holland. The Killers’ third album, Day & Age, was released on November 24, 2008 in the UK and November 25, 2008 in North America. They worked with Stuart Price who did the Thin White Duke remix of “Mr Brightside” and produced “Leave the Bourbon on the Shelf” and “Sweet Talk”. The first single from the album was “Human” which was released on September 22 and has been certified Platinum by the RIAA. Day & Age became the band’s third studio album to reach number one in both the UK and Ireland, it reached number six on the Billboard 200 album chart. It has also been certified 4x Platinum by the BPI. In February 2009, the band won Best International band at the NME Awards for the third time following wins in 2005 & 2008. Later, they were awarded the ASCAP Awards‘ highest honor, the Vanguard Award, for their musical genre’s “impact on the future of American music”. During the summer of 2009, The Killers headlined a number of festivals across Europe including the Friday night show of 2009’s Hard Rock Calling in Hyde Park, London, they also headlined American festivals Lollapalooza and Coachella for the first time. On July 5–6 at the Royal Albert Hall, London The Killers recorded their first live DVD, “Live from the Royal Albert Hall“. It was released in November and played at various cinemas across the globe. Live from Royal Albert Hall was certified 4x Platinum by the BPI (UK) and Platinum by the RIAA (US). After the release of Day & Age, the band embarked on the worldwide Day & Age Tour from 2008 to 2010. The tour was a huge success, with sold-out shows both domestically and internationally. It also marked the first time The Killers played on the continent of Africa. In late February 2010, Flowers’ mother died after a two year fight with brain cancer. This resulted in a premature closing of their Day & Age tour and cancellation of dates in Asia. Two Australian dates in Sydney and Perth were also cancelled; however, both the Gold Coast and Melbourne concerts went ahead, with the Day & Age tour finally coming to a close in Melbourne on February 21 as the headline act at the Good Vibrations Festival at Flemington Racecourse. In January 2010, the band announced that they would take a short break after being on the road for the better part of six years. The break lasted for about a year-and-a-half, during which band members devoted themselves on solo projects, while the band made sporadic other contributions. The band returned to the stage in 2011 when they headlined the new International Lollapalooza Festival in Santiago, Chile on April 2, 2011. They also performed at the season closing Top of the Mountain concert in Ischgl, Austria on April 30, 2011. They headlined for the second time Hard Rock Calling in Hyde Park, London on June 24, 2011. The Killers were the inaugural headliner of the new Orlando Calling Festival in Orlando, FL on November 12, 2011. The band began work on their fourth studio album in May 2011 at their Las Vegas studio. After a year of recording the Killers revealed in May 2012 that their fourth studio album will be titled Battle Born. During recording, the band worked with producers Steve Lillywhite, Damian Taylor, Brendan O’Brien, Stuart Price and Daniel Lanois. The album was mixed by Alan Moulder, who also worked on the band’s first two albums, and was released on September 18, 2012 (released on September 14, 2012 in New Zealand and Australia). In April 2012, saxophonist Tommy Marth committed suicide. Marth had contributed to Sam’s Town and Day & Age, as well as touring with the band. 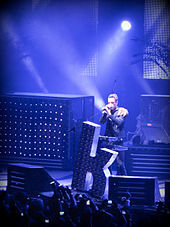 In June 2012, The Killers released a trailer for their new album Battle Born. The first single from the album was “Runaways“. It was voted the Best Song of Summer 2012 by Rolling Stone Magazine readers. The album had the third highest opening week in the UK for 2012 albums and became the band’s fourth No. 1 album in the UK (Brandon Flowers’ fifth). It was voted the #2 album of 2012 by Rolling Stone Magazine readers, with single “Miss Atomic Bomb” voted the ‘Best Song of 2012’ in the accompanying poll. The Killers headlined several festivals in North America and Europe in summer 2012, including the UK’s V Festival and Sziget Festival in Hungary. The band will be headlining the 2013 Big Day Out music festival in Australia. On June 22 2013, the band are set to perform at the 90,000 capacity Wembley Stadium as one of the final concerts of the Battle Born World Tour; it will be their biggest show to date. The Killers own and operate Battle Born Studios where members recorded Battle Born, Day & Age, Flamingo, Big Talk and Another Life. Other artists who have recorded there include Mötley Crüe, Elton John, Imagine Dragons, Jerry Lee Lewis, BB King, Wayne Newton, as well as members of Third Eye Blind, Aerosmith, and Kansas. The song “A White Demon Love Song” was added to the New Moon soundtrack. The band also performed a tune called “Spaceship Adventure” on Nickelodeon’s Yo Gabba Gabba, where the group were referred to simply as “Brandon, Ronnie, Mark and Dave”, as opposed to “The Killers”, in order to be more suitable for young children. The band recorded a cover of the Raspberries‘ song “Go All the Way” for Tim Burton‘s film Dark Shadows (an adaptation of the late 1960s gothic soap opera), which plays over the end credits, however the song does not appear on the film’s soundtrack. In October 2011, The Killers contributed a cover of “Ultraviolet (Light My Way)” to a cover album of U2’s acclaimed 1991 album Achtung Baby. The cover album, titled AHK-toong BAY-bi Covered, was released in the October 25 issue of Q Magazine. In September 2010, Brandon Flowers released a solo album, titled Flamingo. It charted as a top ten album in ten countries including reaching No. 1 in the UK where it has been certified Gold. Single “Crossfire” became Flowers’ fifth top ten single in the UK, including work by The Killers. Drummer Ronnie Vannucci released an album titled Big Talk in July 2011 via his own record label, Little Oil, in a team effort with Epitaph Records. Vannucci also featured as a guest artist on Mt. Desolation‘s self-titled debut album. Bassist Mark Stoermer released his debut solo album titled Another Life in November 2011 as a free download via markstoermer.com for a limited time, with a physical self-release following. Stoermer also produced the Howling Bells‘s third album, The Loudest Engine, released on September 12, 2011 via Cooking Vinyl. Hot Fuss has sold more than 7 million units worldwide, it was the 26th best-selling album of the decade in the United Kingdom. It spent 173 weeks on the UK Albums Chart, more than any other album. In 2013, Gigwise readers ranked it No. 1 “Best Debut Album of All Time”. Rolling Stone magazine ranked Hot Fuss as the 43rd best album in their “100 Best Albums of the Decade” list, and “Mr. Brightside” was ranked the 48th Best Song Of The Decade. Sam’s Town has sold over 5 million units worldwide. The readers of the American music magazine Rolling Stone, in December 2009, voted Sam’s Town the No. 1 “Most Underrated Album of the Decade”. While in the UK, Sam’s Town was the 70th best selling album of the decade, and Q magazine ranked it as the 11th best album of the decade. The Killers have won four NME Awards: “Best International Band” in 2005, 2008 and 2009 and Best Video for “Bones” in 2006. They have also received two awards in the first NME Awards USA in 2008 for “Best Band” and “Best Track” for “Tranquilize”. The band has also been nominated for seven Grammy Awards. In 2006, the band won the BRIT Award for “Best International Band”, while the album Sam’s Town went on to win “Best International Album”. To date, the band has received six nominations for “Best International Band” at the NME Awards and three nominations for “Best International Group” at the BRIT Awards. In 2008, Rolling Stone readers voted Day & Age the “Album of the Year” and “Cover of the Year”. In 2009, readers voted “Sam’s Town” the #1 “Most Underrated Album of the Decade”. In 2012, readers voted “Battle Born” the #2 “Album of the Year” and single “Miss Atomic Bomb” the “Best Song of 2012”. Eleven songs by The Killers feature in the book XFM’s 1000 Greatest Songs of All Time; frontman Brandon Flowers also wrote a foreword for the book. In November 2009, “Mr. Brightside” was voted the best song of the decade by the listeners of the British alternative rock station XFM. Over 14,000 individual votes were cast by XFM listeners via the station’s official website. “Somebody Told Me” was ranked No. 9 and “All These Things That I’ve Done” was ranked No. 22. Other songs not in the Top 25 include “When You Were Young” at No. 31, “Read My Mind” at No. 86, and “Human” at No. 94. Absolute Radio listeners also voted “Mr. Brightside” as the best song of the decade. Amazon.com UK released their lists of the best-selling artists and albums of the decade, with The Killers coming in at No. 3 in Top 10 best-selling artists of the decade. Invited by U.S. President Barack Obama, the band played on the White House South Lawn on July 4, 2010 for the second annual “Salute To The Military” United Service Organizations concert as part of Independence Day celebrations, which Flowers described as a “monumental honor”. Despite their hiatus, the band got together to play “Human”, “Somebody Told Me”, “Mr. Brightside”, “A Dustland Fairytale”, “God Bless America/Read My Mind” and “When You Were Young”. Flowers, Keuning and Stoermer also played at a campaign rally on July 8, 2010 in Nevada for Obama and U.S. Senate Majority Leader Harry Reid who was up for re-election. The Killers played an acoustic version of “Read My Mind” and did a folksy rendition of the state song, “Home Means Nevada“. In February 2011, Flowers had a private one-on-one lunch with Mitt Romney during Romney’s visit to the Republican Party convention in Nevada. In October 2012 Flowers confirmed that the band had declined an offer to support Romney, stating that the band were staying neutral in the election. The Killers have become recognized for their work with the Product Red campaign, headed by Bono and Bobby Shriver. To date they have released seven Christmas themed songs and music videos: “A Great Big Sled” (2006), “Don’t Shoot Me Santa” (2007), Joseph, Better You Than Me” (2008), “¡Happy Birthday Guadalupe!” (2009), “Boots” (2010), “The Cowboy’s Christmas Ball” (2011) and “I Feel It In My Bones” (2012). On November 30, 2011 they released the (RED) Christmas EP on iTunes which features all six songs that had been released up to that point. All proceeds from the songs have been donated to Product Red campaign and the fight against AIDS in Africa. They have also enlisted the help of other acts including Elton John, Neil Tennant (Pet Shop Boys), Toni Halliday (Curve), Wild Light and Mariachi El Bronx. I have been amazed at the prophecies in the Bible that have been fulfilled in history. John MacArthur went through every detail of the prophecy concerning Tyre and how history shows the Bible prophecy was correct. I love the Book of Daniel and I am starting a series today on the historicity of the Book of Daniel. Both Till and Sierichs have been influenced by biblical scholars who have embraced the higher critical views of the 1800’s. However, most people have overlooked the fact that these same scholars have made several admissions which are damaging to their Maccabean thesis. The first admission concerns the conservative’s view that Rome is the fourth kingdom identified in Daniel’s prophecy. Till states the critic’s logic: “A flaw in this interpretation is the obvious fact that the writer of Daniel considered the median and Persian kingdoms to be separate empires, because he had the Neo-Babylonian empire falling to `Darius the Mede’ (5:30-31). This is historically inaccurate (just one of many historical inaccuracies in the book of Daniel), because reliable records of the time indicate that Cyrus the Great captured Babylon and ended the Neo-Babylonian kingdom. Nevertheless, the writer of Daniel told of a reign under “Darius the Mede: that preceded the reign of the Persian king, Cyrus the Great (6:28; 10:1). So if the writer believed that the Neo-Babylonian Empire fell to the Medes and then the Medes fell to the Persians, then the fourth kingdom in Daniel’s interpretation would have been Alexander’s Hellenistic empire” (TSR, Vol. 4.3, p. 12). Notice that Till bases his conclusion on the “obvious fact that the writer of Daniel considered the Median and Persian kingdoms to be separate empires….” However, the famous Bible critic, Dr. Samuel Driver, admitted, “In the book of Daniel the `Medes and Persians’ are, it is true, sometimes represented as united (Daniel 5:28; 6:8, 12, 15, cf. 8:20)” (The Book of Daniel: Cambridge Bible for Schools and Colleges, Cambridge: University Press, 1900, p. 29). Conservative scholar Stephen Miller comments: “Such an admission seems fatal to Driver’s position, for if the author was aware at one point that the two nations were united into one empire, he certainly would not have construed them as separate both physically and chronologically elsewhere in the same book” (Daniel: The New American Commentary, Nashville, TN, Broadman and Holman Publishers, 1994, p. 95). Moreover, in Daniel 5:28, the word peres has the same consonants (only the consonants were written in ancient Aramaic and Hebrew scripts) as the Aramaic term translated “Persians” and likely was a paronomasia (a word play) hinting that the division of the kingdom would be accomplished by the Persian armies. Bible critic Norman W. Porteous admits this hints at “the victory of Persia over Babylon” (Daniel, The Old Testament Library, Philadelphia: Westminster, 1965, p. 81). Furthermore, the Bible critic John A. Montgomery agrees (“A Critical and Exegetical Commentary on the Book of Daniel,” International Critical Commentary, T. and T. Clark, Edinburgh, 1979, p. 263). Arthur Jeffrey claims the author assumed from his reading of Old Testament prophecies (Isaiah 13:17; 21:2, and Jeremiah 51:11, 28) that the Medes conquered Babylon before the Persians (Arthur Jeffrey, “The Book of Daniel,” Interpreter’s Bible, Nashville: Abingdon, 1956, p. 434). However, Isaiah 21:2 blows this theory out of the water, because it speaks of Elam and Media as the joint-conquerors of Babylon. The critic H. H. Rowley admits: “This was doubtless written after Cyrus, king of Anshan, in southwest Elam, had brought the rest of Elam under his sway, when to the Hebrew observer it appeared likely that these two powers might unite in the destruction of Babylon. And since Elam is mentioned first, it is possible that the passage dates from a time after the absorption of Media by Cyrus” (H. H. Rowley, Darius the Mede and the Four World Empires in the Book of Daniel, 1935; reprint, Cardiff: University of Wales, 1964, p. 58). Till correctly notes that the writer of Daniel had “Darius the Mede” conquering Babylon, but nowhere does the writer state that Darius was “the king of the Medes” or the “king of Media.” Dr. Robert H. Pfeiffer of Harvard University admitted the author of Daniel was “a very learned man” and “a sage” (Robert H. Pfeiffer, Introduction to the Old Testament, New York: Harper and Brothers, 1948, p. 757), but Pfeiffer must have assumed that this “sage” had never read 2 Chronicles 36:20 where it is said that the Jews were servants to Nebuchadnezzar “and his sons until the reign of the kingdom of Persia.” Clearly this indicates that the Persian reign came immediately after the Babylonian reign. The second admission concerns the madness of Nebuchadnezzar in Daniel chapter four. William Sierichs, Jr., states that “the story of Nebuchadnezzar’s insanity may be a reference to a bout of insanity or lengthy depression in Nabonidus, who apparently was very unpopular in Babylon…” (TSR, Vol. 7.4, p. 8). This is the position held by many modern critical scholars today. 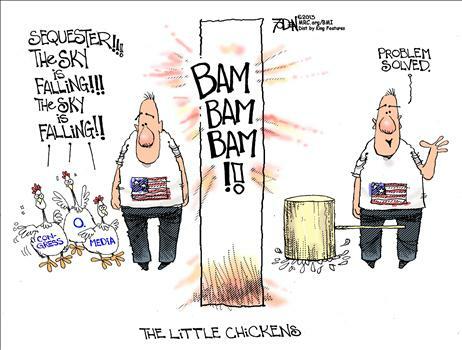 Conservatives prefer a different explanation. Stephen Miller comments: “Some scholars have deemed this chapter primarily a fictional account, likely derived from the same source as the so-called `prayer of Nabonidus’ (4QPrBab), an Aramaic fragment discovered at Qumran in 1952 (D. N. Freedman, “The Prayer of Nabonidus,” Bulletin of the American Schools of Oriental Research, Vol. 145, 1957, pp. 31-32). Though affinities exist between Daniel 4 and the “Prayer of Nabonidus,” they are far outweighed by the differences (e.g., name of the king, nature of the illness, and location). It seems reasonable to categorize the Nabonidus story as a distorted version or a later application of the biblical narrative” (p. 145). Nevertheless, the critics insist there is no hint in the historical record that indicates it was Nebuchadnezzar with this strange case of madness that resulted in a seven-year absence. R. H. Pfeiffer called Daniel chapter four an “unhistorical tale,” and “a confused reminiscence of the years when Nabonidus spent at Tema in Arabia” (p. 758). Norman W. Porteous states, “indeed there is no record of Nebuchadnezzar’s having had leave of absence from his royal duties on account of insanity” (p. 70). However, later on the same page Porteous admits that fellow Bible critics Bevan, Montgomery, Bentzen, and Jeffrey have recorded such a story. Abydenus’s account is preserved by Eusebius (Praeparatio Evangelica, 9.41.1) and is reproduced by John A. Montgomery (p. 221). The third and fourth admissions concern linguistic arguments. Farrell Till asserts: “Bible fundamentalists like to think that Daniel was written in the sixth century B. C., shortly after the events that the book closes with during the reign of Cyrus the Great, who had conquered Babylon in 539 B.C. Few reputable Bible scholars, however, would fix the date that early, because the book exhibits signs of a much later authorship. Scholars cite the writer’s obvious confusion about political events of the time that a contemporary would have surely been familiar with, the linguistic style (especially the section written in Aramaic), and other factors too numerous to discuss in detail as evidence that the book was written at the extreme end of the Old Testament period (no sooner than the second century)” (TSR, Vol. 4.3, p. 13). Dr. Samuel Driver also made much of the Aramaic of the Book of Daniel. he stated, “The Aramaic of Daniel (which is all but identical with that of Ezra) is a Western Aramaic dialect, of the type spoken in and about Palestine” (p. 59 of the introduction of Driver’s commentary on Daniel), and he went on to suggest that archaeology had confirmed this. However, Jeffrey admits that the Aramaic in the Book of Daniel “cannot be pressed as evidence for a particular date, for it is that type of Aramaic which grew up for official use in the chancelleries and came to be widely used in the ancient Near East” (p. 349). Jeffrey cites more recent discoveries of fifth-century Aramaic texts that totally discredit Driver’s view (Franz Rosenthal, Die Aramaistische Forschung, [Leiden: E. J. Brill, 1939] pp. 66-71). Till has highly recommended Jeffrey’s work on Daniel (TSR, Vol. 7.3, p. 3, and Vol 7.4, p. 8). According to Till, Jeffrey’s material “gives a detailed analysis of the Book of Daniel to show, first of all, that it was not written by its namesake who allegedly lived in Babylon during the captivity, but by an unknown author during the time of the Seleucid Empire, which arose from the partitioning of Alexander’s kingdom after his death” (TSR, Vol. 7.3, p. 3). Does Jeffrey’s work accomplish this feat? Let’s look at a couple of popular arguments that he uses. The fourth admission by the critics concerns the term “Chaldeans.” Jeffrey argues: “The use of the word kasdim (Chaldeans), not in the proper ethnic sense which it has, for example, in Jeremiah, but to mean a caste of wise men, points to a time when the word was commonly used for a class of priestly astrologers, diviners, or magicians, a sense the word has in the pages of Strabo or Diodorus Siculus, who wrote in the first century B.C. (p. 349). Dr. Driver agrees that the argument concerning the use of the term “Chaldeans” is very convincing. So much that he places it first in the list of his three strongest arguments that show that the book of Daniel was composed in Palestine “during the persecution of Antiochus Epiphanes” (pp. 47-56 of the Introduction). How strong is this argument? On page 12 of Driver’s commentary, Driver himself takes exceptions to some of the assertions made by Jeffrey. Driver admits that in Daniel 5:30, and 9:1 the author of the book of Daniel did use the ethnic sense of the word “Chaldeans.” Then on the same page Driver admits this term “Chaldeans” is found “in Herodotus (Herodotus, Histories, 1.181-183, c. 440 B.C. ), and is common afterwards in the classical writers” (p. 12). Furthermore, Driver also admits that evidence indicates that such a group of wise men as pictured in the book of Daniel did exist as a group as early as 2000 B.C. (p. 14). Francis Schaeffer summarized Driver’s argument: “Remember this is his first strong argument. he is going to take the book of Daniel and throw away its historical date on the basis of these `so-called’ strong arguments. Now we have defined this question in regard to the term “Chaldeans.” The writer knew the ethnic sense. This group did exist from a long time before. About 90 years later everybody acknowledges that the word was used in this sense to the wise men. And so he is going to throw away the book of Daniel and its dating and all that it means on the basis that this specific group of wise men, who were well known from long before and afterwards, were not called this term in this 90-year span (530 B.C. to 440 B.C.). Now, once you word it this way, it doesn’t look so strong” (Francis Schaeffer’s five part series, Dr. Driver’s Criticism of the Book of Daniel, tape #2). Is it any wonder that the bible critic J.J. Collins admits that the author’s use of the term “Chaldeans” cannot be used to date his material (Daniel, Hermeneia, Minneapolis: Fortress, 1994, pp. 137-138). In fact, Jeffrey makes a similar error in his commentary on Daniel 10:1. He states: “Cyrus is here called `king of Persia.’ This may be merely a statement of fact, for he was king of Persia, but if it is meant as an official title, it is an anachronism in the mouth of Daniel. The title ‘king of Persia’, was Hellenistic usage and not the usage of the Achaemenid kings at this time” (p. 500). This argument of Jeffrey’s is completely put to flight concerning Daniel 10:1. It shows how much many of these scholars continue to repeat the same old arguments. No doubt, Jeffrey had read this argument in Driver’s commentary (p. 152), but he had failed to read the refutation provided by Wilson seventeen years later. I must admit that I have just repeated the arguments of others on occasion without taking a closer look at both sides of the argument. For example, I was guilty of making it appear that the interpretation of Daniel 5:7 is a simple matter. Driver says the verse should read, “Shall rule as one of three in the kingdom” (p. 64), but most conservative scholars claim the translation should be “the third highest ruler in the kingdom” (NIV). Conservatives claim this is an indirect reference to Nabonidus while the critics relate the passage to Daniel 6:2, which speaks of three rulers of equal rank and uses a similar word. Earlier I thought I had a lot of ammunition with the admission by critics W. Sibley Towner and R.A. Anderson that the conservatives had the translation of Daniel 5:7 correct (W. Sibley Towner, Daniel, Interpretation: A Bible Commentary for Teaching and Preaching, Atlanta: John Knox, 1984, p. 73; R. A. Anderson, Signs and Wonders, International Theological Commentary, Grand Rapids: Eerdmans, 1984, p. 57). However, now I don’t think it is wise to press the issue. Nevertheless, there are two other issues in this chapter that I will press, and they both concern Belshazzar. In the article “Daniel in the Historians’ Den,” William Sierichs, Jr., states that Belshazzar was not the “son” of Nebuchadnezzar, and “Belshazzar was not the ruler as the Book of Daniel claims, and he was never king” (TSR, Vol. 7.4, p. 8). These are two of the most common arguments used against the book of Daniel, but even the radical critic, Dr. Philip R. Davies has admitted that both are “weak arguments” (Philip R. Davies, Daniel, Sheffield: JSOT Press, 1985, p. 31). He stated: “Critical commentaries, especially around the turn of the century, made much of the fact that Belshazzar was neither a son of Nebuchadnezzar, nor king of Babylon. This is still sometimes repeated as a charge against the historicity of Daniel, and resisted by conservative scholars. But it has been clear since 1924 (J.A. Montgomery, Daniel, International Critical Commentary, Edinburgh: T. and T. Clark, New York: C. Scribner’s Sons, 1927, pp. 66-67) that although Nabonidus was the last king of the Neo-Babylonian dynasty, Belshazzar was effectively ruling Babylon. In this respect, then, Daniel is correct. The literal meaning of son should not be pressed” (pp. 30-31). I call Davies a radical critic because he refuses to accept the archaeological evidence that indicates that king David existed (Philip R. Davies, “`House of David’ built on Sand,” Biblical Archaeology Review, July/August 1994, pp. 54-55), and more recently he suggested that Hezekiah’s tunnel was not dug by Hezekiah’s men when the Bible claims, but was constructed centuries later. However, several eminent archaeologists put this reinterpretation to rest (“Defusing Pseudo-Scholarship,” Biblical Archaeology Review, March/April 1997, pp. 41-50). For Davies to concede anything, it must really be self-evident. Therefore, I put forth his admissions as especially meaningful. Furthermore, Davies does not accept the same view that Till and Sierichs do concerning the date of the authorship of the first six chapters of Daniel. In the 19th century the consensus among Bible critics was that all of the chapters of Daniel were written in Palestine during the 2nd century B.C. However, in the 20th century most of the critics admit the first six chapters could have been written as early as the 6th century B.C. in Babylon. Philip R. Davies comments, “According to nearly every modern commentator, the tales of chapter 1-6 are originally products of a Jewish community in a Gentile environment” (Philip R. Davies, “Eschatology in the Book of Daniel,” Journal for the Study of the Old Testament, Vol. 17, 1980, p. 33). Could it be that the archaeological, linguistic, and historical evidence concerning Daniel will lead next century’s critics to consider the traditional theological view? This reminds me of an amazing quote from the astronomer Dr. Robert Jastrow: “For the scientist who has lived by his faith in the power of reason, the story ends like a bad dream. He has scaled the mountains of ignorance; he is about to conquer the highest peak; as he pulls himself over the final rock, he is greeted by a band of theologians who have been sitting there for centuries” (Robert Jastrow, God and the Astronomers, New York: Warner Books, 1978, p. 111). Yesterday, I interviewed Jonah Goldberg about his new book, Liberal Fascism: The Secret History of the American Left, From Mussolini to the Politics of Meaning. If you were going to give people a 30 second explanation of why they should buy your book, what would you tell them? The primary reason someone should buy my book is because it’s the first book to put all in one place the stuff that is left out of the history books and the narrative that we’ve heard for the last 70 years. It corrects the record about the slander that has been aimed at conservatives for a half century — that we are fascists, that we are Nazis. Even if you disagree with a lot of the arguments, I think most, if not all fair minded readers will concede that they learned a lot from it. I am not winging it. Every claim is backed up by facts, by footnotes. Every argument marshals evidence to support it. If you disagree with everything, even if you think liberalism is still the best thing that we have for bettering society…I think that you’ll be better armed to make your case because you’ll at least know the downside of your own intellectual history. You’ll know the darker side of progressivism. In an age where Hillary Clinton is saying that…she’s a progressive, I think it’s pretty important to understand what progressivism was and what its ultimate aims and impulses are. Do you regularly or semi-regularly read any blogs you’d like to recommend to RWN’s readers? I’m not reading anything right now because of the book tour, but all the obvious ones. The National Review blogs, The Corner, The Campaign Spot, that kind of thing. I obviously check out Instapundit and my mom’s site, Lucianne.